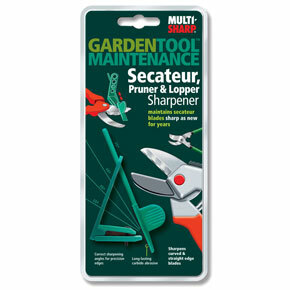 Using sharp, well-maintained tools makes garden work so much easier. 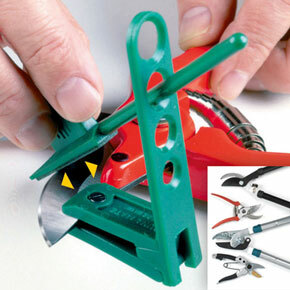 Keep your loppers, garden knives and secateurs perfectly honed and ready to use with this unique sharpener. Unlike straight honing implements that only reach halfway down the curved blades of most tools, the innovative design of this new sharpener lets the honing edge go all the way down to the end of the blades for a perfectly sharpened tool every time. 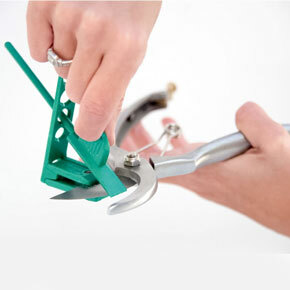 Adjustable and lightweight, it's angled to fit either straight or curved blades with ease. 10¼ "L.